A lot has happened in the past two weeks in the social media marketing world, and as hotels and resorts tackle the Spring Break rush and prepare for the upcoming summer busy season, now is as good a time as ever to make sure youre up to date with all the new changes. 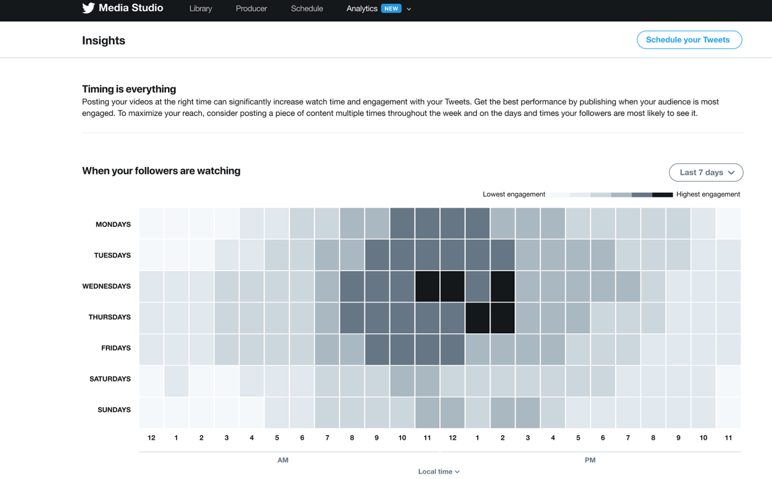 Twitter is rolling out new analytics in their Media Studio that revolve around video metrics, including data that will help brands find the best time to publish their videos on platform. Youll be able to see peak activity levels for each day of the week and review specific time periods if you choose. While most social media platforms dont post content strictly in a linear timeline, posting at the right time can still ensure that you get a boost of visibility and engagement as soon as your video goes live, helping it get more traction and momentum. Knowing the right times to post for your specific audience can help you get your message to more of your guests and followers. Facebooks ad relevance score is being divided up into three  more granular ad relevance diagnostics metrics. These will be Quality Ranking, Engagement Rate Ranking, and Conversion Rate ranking, some of which are predicted or comparative metrics based on Facebooks algorithms. Facebooks ad relevance score--which was calculated on a score from one to ten-- is an important metric for advertisers and has historically correlated with ad performance. Ads with high relevance scores were also more likely to get priority in the ad system and be charged lower CPCs, so while it was a black box metric, it definitely wasnt a vanity metric. These three new metrics will give more specific feedback to advertisers, showing them where the weak spots in the campaigns may be from Facebooks perspective, and making it easier for hotels and resorts to better optimize their campaigns. Well have to see how exactly they influence things like CPC as they roll out on a wider basis and we have time for split testing. Twitter is updating their in-app camera, making it easier to access and use. 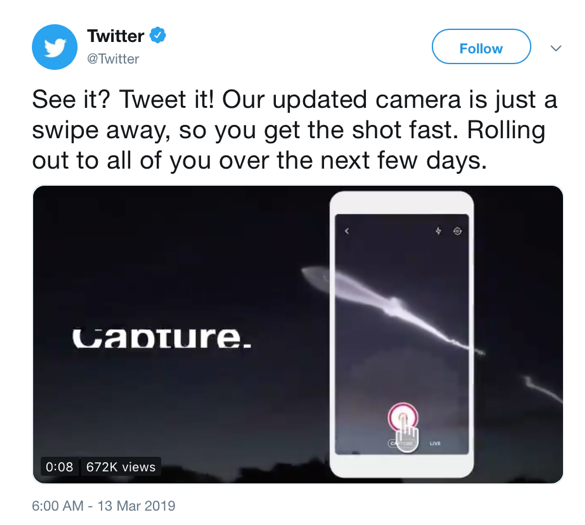 The options to capture images, videos, and go live are now front and center, encouraging users to take part in real-time sharing through the native app. Twitter has made a lot of changes this year to improve authenticity on the platform, and theyre also encouraging the creation and sharing of live content. These changes are subtle but show the direction of the platform. Hotels and resorts should consider investing in live videos on Periscope (Twitters live broadcasting company) in addition to hosting lives on Facebook and Instagram for a well-rounded social strategy. Consider lives featuring your property or events you are hosting. We typically dont cover in-testing features in our newsletter, but this is a big one for Twitter so we wanted to flag it early. 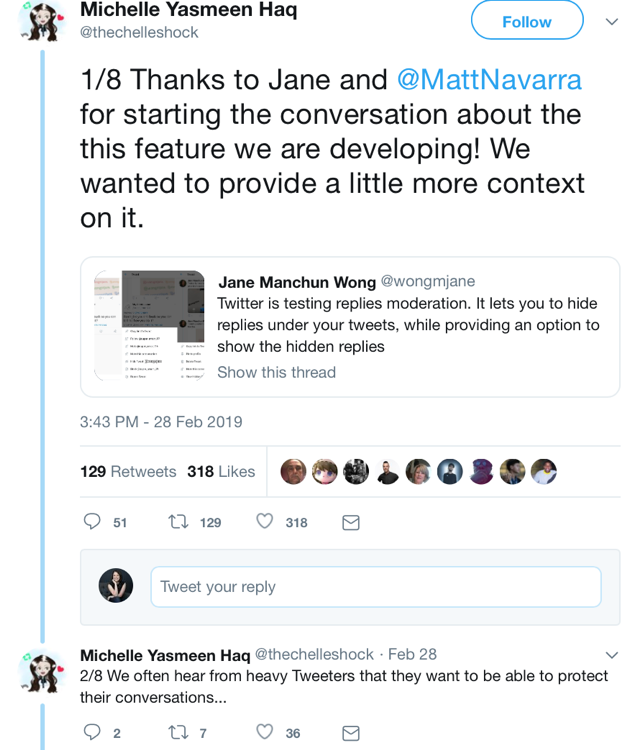 Twitter is currently testing new native comment moderation tools, including a feature that will let you hide replies from other users on your tweets. Twitter is focusing on that transparency and authenticity, but they still know that sometimes you need to be able to have some control on whats happening on your tweets and your profile. This feature will allow you to shut down some conversations in a more transparent way, hiding replies without having to block users all together. If someone replies to one of your comments with hate speech, spam, or other language or sentiments you dont want your guests to read and associate with your hotel and resort, go ahead and hide them. It seems like you may have the option to allow users to read hidden replies.